Sunday September 2nd is the birthday of Torvehallerne. One year has passed already (where did all that time go?) and it's only appropriate to celebrate the one and only food market in Copenhagen. Yes, that's our first roaster. 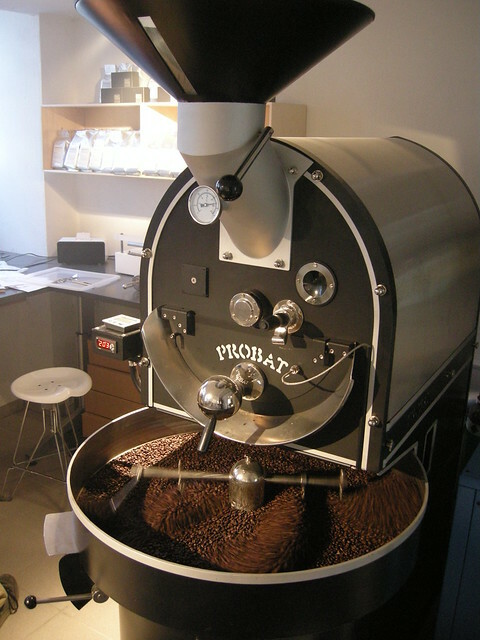 The Probat L12 that we started our journey on back in Kastrup in the early days and since moved into Jægersborggade, later to be replaced by the newer Probatone 12. For the birthday of our coffee shop we'll be roasting in the square between the two halls, to showcase how we roast and give the crowd an insight into the transformation from green bean to roasted.